Market prices of IIR kept going higher in 2018, so the profit of producers was passable. The supply of Chinese-made IIR from producers was limited. Both price hikes in the feedstock markets and the anti-dumping measures against the imported HIIR provided a strong support to the IIR market. The units at Panjin Heyun Industrial and Formosa Synthetic Rubber (Ningbo) Corporation were in long-term shutdown. Sinopec Beijing Yanshan Company, Zhejiang Cenway New Synthetic Materials and Shandong Chambroad Petrochemicals were constantly developing their markets. Foreign producers like ExxonMobil and Reliance Industries continued to enlarge the global IIR industry layout. Besides, LANXESS sold out its shares of ARLANXEO to Saudi Aramco and withdrew from the rubber industry. The uncertainty in global IIR market was intensified. China’s regular IIR’s import dependence degree was about 50%, while HIIR’s was around 70%. With the final ruling of the HIIR anti-dumping investigation being released, the supply-demand fundamentals will be sure to change. How should domestic producers respond to the market competition? How should downstream manufacturers choose the source of supply? All these will become a hot topic to discuss. 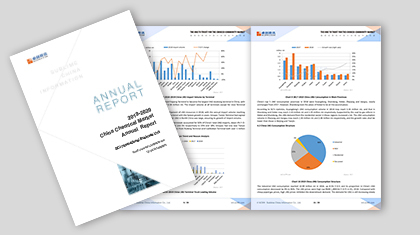 Combing the original data of SCI and the authoritative data from China’s National Bureau of Statistics, the General Administration of Customs and industry statistics, this report reviews the regular IIR market and the HIIR market respectively in 2018, including supply, demand, import, export, upstream market and so on. Based on reliable data source, the historical data can be tracked back to five years ago, which can be used as important reference information for IIR project investments, market condition and outlook analysis, customer development, etc. 1. Present China’s IIR capacity and output in the past five years, which allows customers to have a clear sense of China’s IIR industry status and development trends. 2. IIR’s import dependence degree stays at highs. Analyze the import IIR market by origin to reveal a detailed import pattern virtually. 3. Elaborate the industry hotspot in depth—the whole story of anti-dumping investigation and its effects. 4. Analyze the upstream and downstream markets of butyl rubber to understand the cost of butyl rubber and changes in downstream demand. 5. Analyze the driving factors of IIR prices and evaluate the IIR value chain conduction objectively.